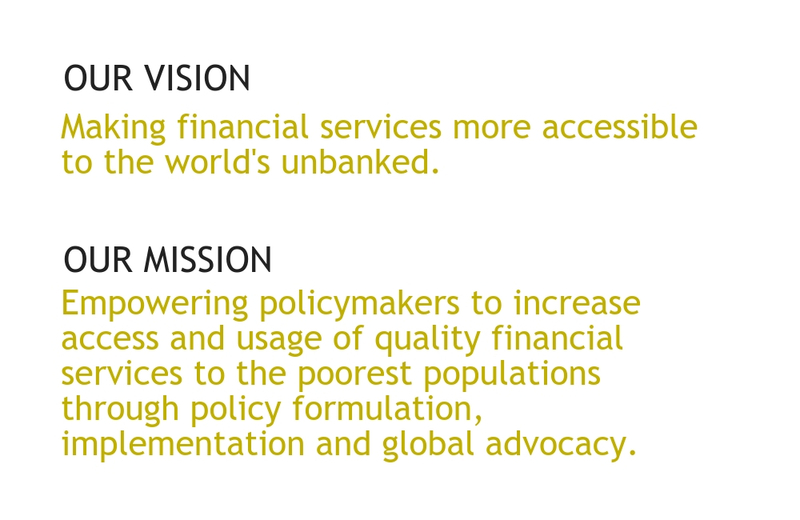 The Alliance for Financial Inclusion (AFI) empowers policymakers to increase access to quality financial services for the poorest populations. AFI was founded on the idea that a global knowledge exchange platform was key to expanding and improving financial inclusion policy. Over the years the AFI network, with the support its funders and partners, has invested deeply in this platform, and data shows the model is delivering tangible results. 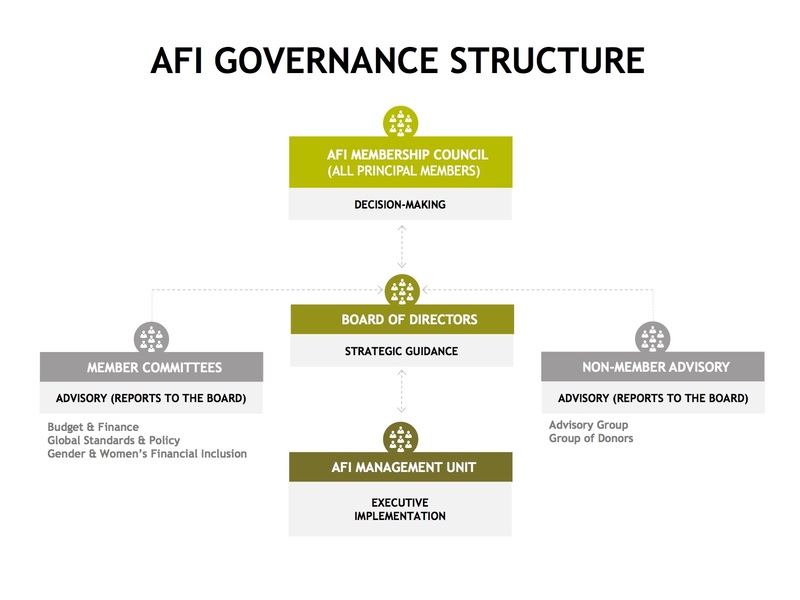 AFI is led by its members and partners, central banks and other financial regulatory institutions from developing countries. AFI’s members serve to give voice to the opportunities and challenges facing the unbanked. The network includes members from more than 90 countries working together to accelerate the adoption of proven and innovative financial inclusion policy solutions with the ultimate aim of making financial services more accessible to the world’s unbanked. AFI’s members are actively engaged in advancing financial inclusion policy at national, regional and international levels through partnerships and cooperative arrangements with other regulators, as well as with international organizations and private sector leaders. The network uses the depth of unique knowledge and experience to produce regulatory guidance, provide insights on innovative policy developments and highlight proven solutions in the field. Country-led approaches: AFI members focus on ways to support countries in designing and implementing high-impact solutions to meet their unique needs and challenges. This approach has created ownership and a sense of pride as ever more ambitious targets are set and achieved. Peer-to-peer engagement: The value of knowledge and experience is not judged by the size or wealth of any one institution. Our cooperation model creates a community of equals where every member, no matter how large or small, is given the opportunity to share as well as to learn.